As chilly weather comes around, a bowl of this hearty soup can warm the soul. Heat butter in large soup pot over medium flame. Add onion, garlic and Brussels sprouts. Saute, stirring occasionally, until nicely browned, about 20 minutes. Add stock and stir with wooden spoon to loosen brown bits from bottom of pan. 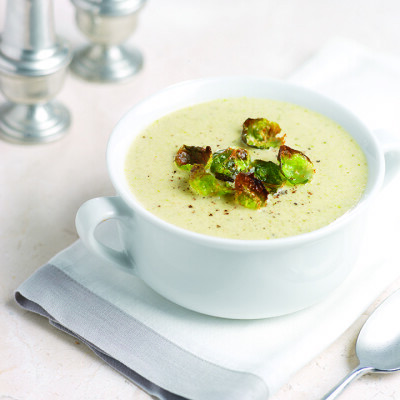 Simmer for 20 minutes or until Brussels sprouts are tender. Remove from heat and puree with a stick blender. Add cream, salt and pepper and return to stove to simmer until thick and creamy, about 30 minutes.